The Olate Dogs were the winning participants from Season 7 of America's Got Talent, scooping up the $1,000,000 and headlining The Palazzo. 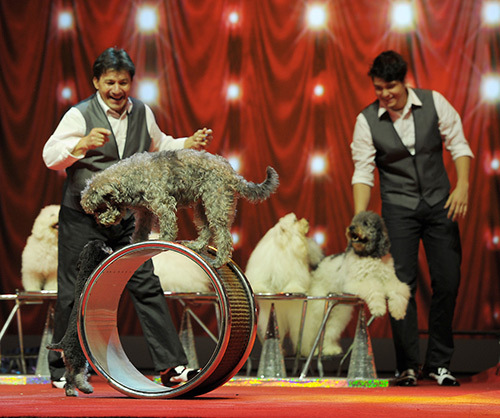 Led by Richard Olate and his son Nicholas Olate, the Olate Dogs are a high-energy, fast-paced theatrical act filled with dog-centric and amazing pet tricks, as well as variety show entertaining skits and a one of a kind fashion show. Richard grew up in South America in a poor family. 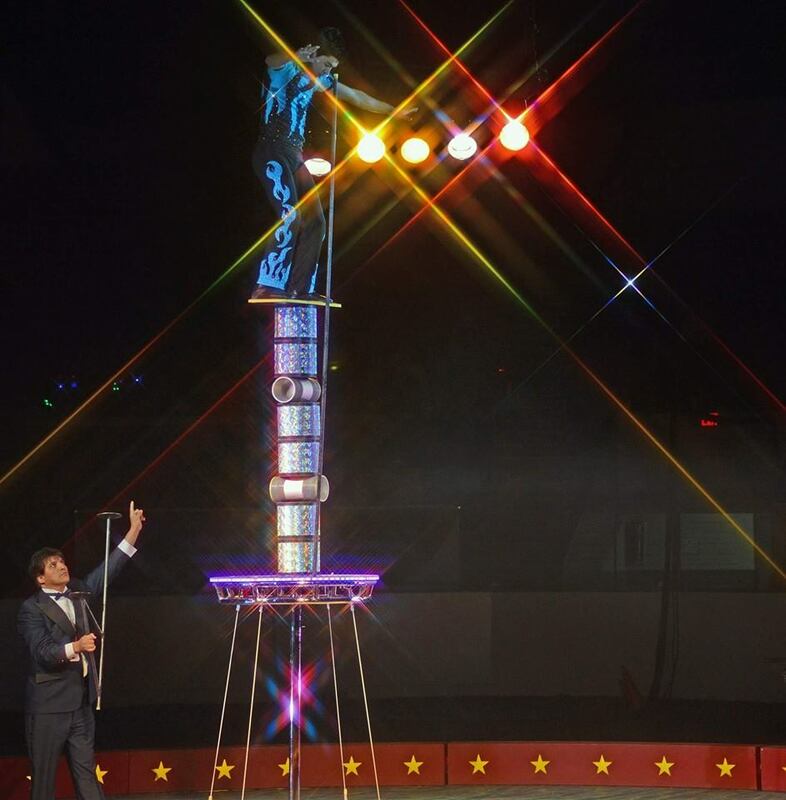 A third generation circus performer, Richard has been in the spotlight since he was 12, and through hard work and constant struggle, he made it to the United States at the age of 33. His dream to have his own dog variety show has come true as he currently has four completely different dog acts. Most of Richard’s dogs are rescue dogs. The Olate Dogs can be seen at NBA halftimes, performing art centers, and other major sporting events as well as touring the country making kids of all ages laugh and smile. 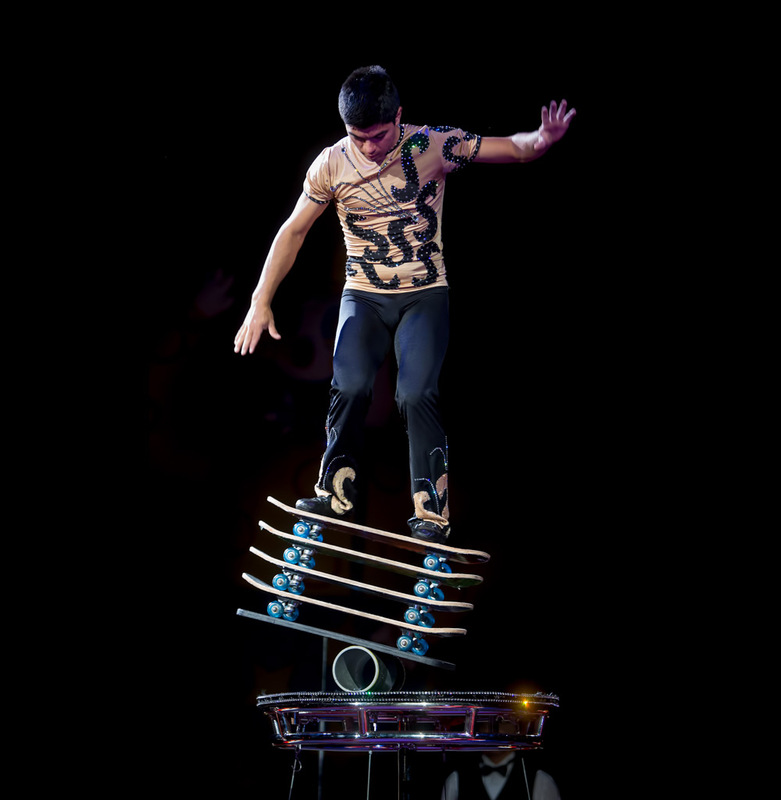 Finest jugglers, unicyclists and acrobatic feats on wheels and feets! 3 performances to choose from. 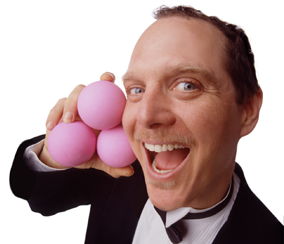 The entire Rinny Family are performers and perform now nationwide offering such unique acts such as troupe Juggling, Rolla Bolla, Unicycles, Comedy acts and more. Since arriving stateside, they have toured the entire US in less than 3 years (excluding Alaska and Hawaii). Some of their notable appearances so far include Circus Circus in Reno Nevada, the Big E Fair, Circus World WI, the traveling company the Royal Hanneford Circus and NCAA Basketball halftime. The Rinny Family and Jonathan have also appeared on Charitin y Felipe, MegaTV : a popular Latin TV program that features entertainers. Thrilling High Rising Rolla Bolla act featuring basketballs, skateboards and hold your breath stunt action. Jonathan Rinny hails from a family of fourth and fifth generation Argentinian circus performers, who came to the United States in 2006. The youngest of the three Rinny children, Jonathan is an innovator who creates (and performs on) one of the world's smallest bicycles, a never before seen rolla-bolla lift, and the world's only 7 wheel unicycle which stands at 13 ft. tall. He is also a skilled juggler who performs in a troupe with his family as well as solo. Rarely is an artist capable of touching the hearts and souls of people of all ages, cultures, and diverse musical backgrounds as BENISE. (pronounced Buh-nes-say). 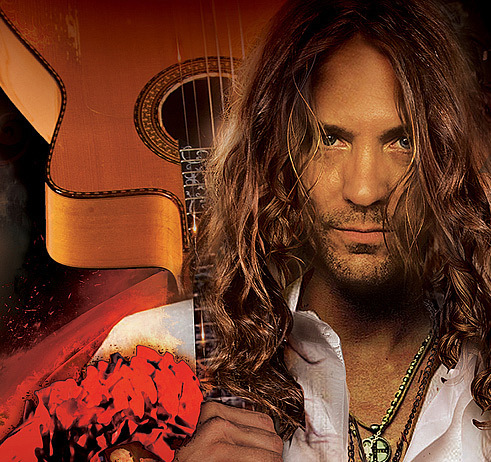 Armed with his Spanish guitar and an amazing world-class band of musicians, Benise pushes the boundaries of traditional Flamenco/Spanish guitar. After being turned down by almost every club in Los Angeles, BENISE started performing on the streets. It was not uncommon for BENISE to put on over 200 shows a year, sometimes playing 2 to 3 events in a single day. Tourists from around the world and native Angelinos alike took to BENISE like the “Pied Piper” of Spanish guitar. From there, the path of his music took on a life of its own. In addition to organizing stunning live shows, BENISE took his career by the reins by producing, arranging and releasing 11 albums on his own independent record label, Spanish Guitar International, plus 4 DVDs. Amazing Instrumentalist gives Classic Rock a new twist, playing the traditional Korean 25 String Gayageum that will blow fans away! 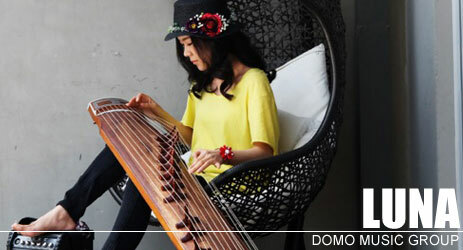 Luna's debut album from Domo Records features her performing on a 20 and 25 string traditional Korean instrument, called the Gayageum. With the exception of Luna’s instrument, the music she performs is anything but traditional. With inspired performances and dazzling skill, Luna has become a virtual sensation amassing scores of YouTube views, exhibiting her remarkable ability to bridge Eastern culture with Western influences. When many Fortune 500 companies want comedy, they turn to Frank. They know that in addition to being outrageously funny, the interactive nature of his shows brings teams together and helps unite co-workers through laughter. Frank Olivier creates unique shared experiences while literally placing your guests center stage. His show combines clean national-headliner comedy, with skills that are second to none: award winning juggling, magic, unicycling, prop comedy, and more. LATE NITE ART is an international, creative events organization based in Oakland, California. 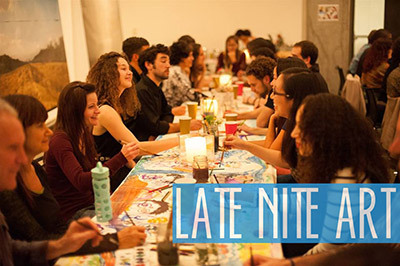 After over 100 events in 7 countries, LATE NITE ART has become a cross-cultural success. Past clients include Instagram, Pandora, Procter and Gamble, Accenture, and Old Navy. Our events use collaborative art-making, curated music, and facilitated dialogue to foster a creative, energetic culture inside of teams and organizations. Whether using us for team building, visioning, or celebrating accomplishments, each event is tailored to meet the needs of your organization. Often paired with wine and a 3-course meal, LATE NITE ART can be easily woven into the programming of larger events, and used as the capstone experience for staff retreats, conferences, and off-site trainings. Extrordinaire Media offers entertainment industry consulting services to independent artists, as well as to established artists looking to expand.